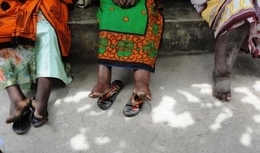 Today we had a lecture on lymphatic filariasis, some know this disease as elephantitis. There are three species of this worm. Transmission occurs via the bite of a mosquito to the human and it moves into the lymphatic system causing lymphoedema, here usually in a limb such as a leg. 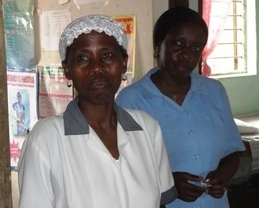 We drive south of the island to the Kizimkazi/Dimbani Health Center. Here two nurses run this center and they concentrate on treatment for this disease as well as leprosy. We see both types of patients and I am so impressed on their assessment, documentation and treatment records of cases. We next visited a community in Jambiani on the East Coast of Zanzibar. They have a community malaria control project here and they presented their data to us. They had a high rate of malaria here and they instituted a malaria project to get the community involved. As a community they took action and made rules to increase mosquito avoidance and decrease breeding such as: decrease trash around the homes, take care of standing water, clear debris, keep toilets and outhouses clean and gave bed nets to all families. The data was impressive and it reminds you how much can be achieved when a whole community gets involved for the greater good.